Is it possible to get a different look on the last pages of each order? We use the HLINE command with repetitions for ‘green-bar paper’ effect. Pretty often, there are several blank lines on the last page after the last listed item. How do we get the lines to stop after the last item? 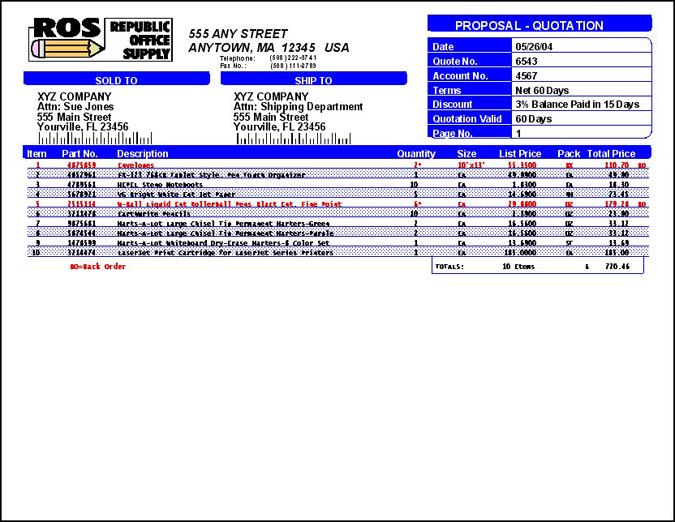 Several of our customers have mentioned that they wanted the “green-bar” look to end when the document details end. The latest version of Formtastic can do just what you’re looking for. 1. Create a form to be used as the last page of a multi-page document. You will later include that form within a “control” form. 2. Within this “last page of a multi-page document” form, you’ll place a horizontal line above the first detail spool text. 3. Bring up the “Attributes” on this HLINE by either right-clicking on it and then selecting “Attributes”, or by double-clicking on the HLINE itself. 4. Go to the tab which reads “Repeating Line Attributes” and select the “Variable” radio button in the “Vertical Repeat Style” area (see Figure 1). 5. Now go to “Add to List” and select a spool-text object which will signal Formtastic to stop the repetitions of the horizontal line when that selected spool-text object stops occurring. It may be necessary to select more than one spool text object from the “Add to List” objects to make sure that Formtastic determines the last line of detail data. This will configure the horizontal line to stop repeating when there are no more lines of details (see Figure 2). 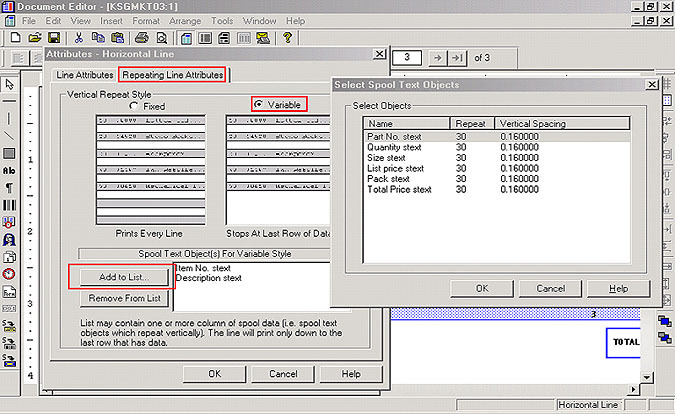 Figure 1: Locating the spool-text object that will define the final detail item in your form. Figure 2: Here’s the finished form with the shaded bars ending with the final detail item.